The Amy Winehouse documentary Amy is alternately thrilling and devastating, throwing you back and forth until the devastation takes over and you spend the last hour watching the most supernaturally gifted vocalist of her generation chase and find oblivion. Directed by Asif Kapadia, who had amazing access to Winehouse’s family and friends, Amy raises a question that’s common to downward-spiral docs: Is it a profile or an autopsy? I’d go with the latter, having learned more in two-plus hours about Winehouse’s death than about the wellsprings of her art — meaning its jazz, soul, hip-hop, and girl-group roots. But the movie does feature a lot of jaw-dropping footage of Winehouse recording and performing, the important (and not always intelligible) lyrics superimposed in elegant cursive. Perhaps some kinds of genius are better off left mysterious, while the circumstances of a death at age 27 are easier to recount. 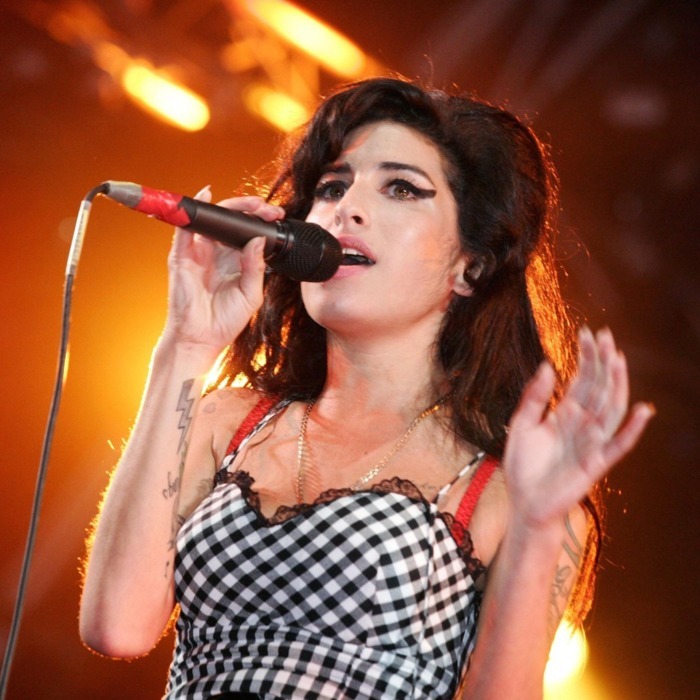 Kapadia doesn’t exactly point fingers — it’s more of a subtle nod in the direction of, say, Winehouse’s father, Mitch, who acknowledges an affair of many years during Amy’s childhood, laments his lack of courage in not leaving home until she was 8, and adds, “I felt that Amy was over it pretty quickly.” The evidence says Amy was never over it, thereafter carrying twin longings: to be entirely guided by a strong male figure and to defy that figure by hurting herself. Alcohol and bulimia are what ultimately ravaged her, but she also followed her strikingly self-centered lover (later husband) Blake Fielder-Civil into the world of crack cocaine and heroin out of a need to feel exactly what he was feeling. Winehouse understood all this — it’s in the self-immolating lyrics of “Rehab” and “Back to Black,” among other songs, and in her frank interviews — but self-knowledge didn’t help. Amy is a celebrity-mongering documentary about the lethal effects of celebrity. Her management’s decision (abetted by her dad) to push her into a tour that began and ended in humiliation was the coup de grâce. But the main culprit might have been fame itself. She had such a fragile talent, every note profoundly felt and hard-won, and Kapadia shows her repeatedly surrounded by paparazzi, whose clicks he amplifies to the point where they sound like the guns that took down Butch and Sundance. We identify with her pain but see her through the eyes of those cameras, complicit in spite of ourselves.